Over the last century, women have made great strides in all walks of life. Some of them have done pretty well in the corporate world and have risen to the leadership positions in some of the largest companies across the world. Though women start their careers with the same level of skills and education as their male counterparts, only a few of them rise to the top echelons. Despite this, a number of women have made their presence felt across different disciplines and gained celebrity status across different parts of the world. The following are few qualities and characteristics of virtuous women in leadership role. Self-motivation is essential in order to face challenges that women may face at different points of their professional career. 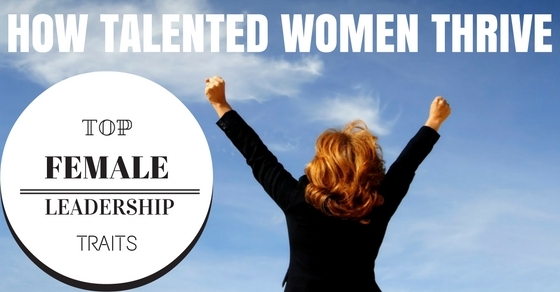 Talented women are to a great extent self- motivated. Therefore, women in leadership roles have a high level of passion which is often missing among their co-workers. If a professional does not enjoy the work that he does, then it will be like a burden to him between weekends. Therefore, the person cannot focus on his work. Recent studies have shown that highly motivated professionals have a higher level of job satisfaction, productivity, and more loyalty as compared to others. Therefore, talented women are often willing to take new paths and face personal risks that are associated with their goals. Managing their energy levels forms a part of the day to day routine for many talented women. They may be in high positions in different companies. Corporate executives have hectic routine. Most of them often have to work overtime throughout the week. But work doesn’t always seem exhausting. Some psychologists who have conducted studies on numerous professionals, including working women, have come up with an interesting discovery. They found that those who are engaged in more activities never get exhausted. They don’t realize the passage of time. They become more productive than their peers. The way each individual views the world around him has a significant impact on his approach towards his work. A number of studies have suggested that people with higher level of optimism view life more realistically as compared to pessimists. This enables them to take correct business decisions. A perfect example is that of Andrea Jung, chairman and CEO of Avon. In 2005, Avon suffered a decline which could not be explained by temporary factors. Andrea Jung was in charge of a team which created the strategies and was responsible for the downturn. She resigned. The following week, she returned as the turnaround CEO and came up with a recovery plan for the management. This enabled Avon to make a steady recovery and experience growth. Women who have built a strong network and have good mentors usually get more promotions, higher salary and a deep sense of satisfaction in their career. This creates a sense of belonging which makes their day to day lives meaningful. However, all networks are not equal. Social psychologists made a thorough study of the social belongings and rejection. They are of the view that men tend to build broad shallow network as compared to women. Women tend to build effective networks that help to gain access to different resources for gaining greater knowledge and professional opportunities. Thus women tend to create narrower but deeper relationships as compared to men. Most people are of the view that if they work hard, they will be noticed and be rewarded by their superiors. Women who are in high positions in leading organizations tend to show a high level of engagement in the day to day work process within their own organizations. A high level of engagement has its own share of risks. But taking risks can bring in a number of opportunities also. Some have a high level of self-confidence and courage to take the risk, while others use their analytical skills of problem-solving to assess the risks and proceed accordingly. Talented women who are in managerial positions address questions from direct reports. They have a clear idea about the business strategy, work culture as well as HR issues happening within the company. They can, therefore, take decisions confidently on behalf of the organization. They spend a good deal of time with the senior leaders and ask questions regarding important business decisions and strategies. They provide support to others in areas of business which they themselves are not involved in. Women with successful careers spend a good deal of their time in going through direct reports which are essential for the long-term growth and advancement in their careers. It is at this stage that they keep a close watch on priorities, metrics and major questions that may loom in their minds. They set their priorities one after the other, in a perfect sequence. To make sure that this sequence is maintained, they block the time in the monthly calendar and try their best to respect it. Working women are promoted because of their willingness to do hard work. Such dedicated effort helps in accomplishing a number of long-term business goals. They are aware of the developments taking place in projects and jump into the fray in order to resolve problems when they arise. The success of a business, to a great extent, depends on its work culture. Even the people in managerial positions should be willing to put in efforts to resolve challenges. Companies where these conditions prevail thrive and grow in the long run. In such companies people irrespective of their position are willing to help each other in their day to day work. If a manager constantly tends to change decisions, then it is likely that his team will lose trust in the person’s ability as a leader. They are likely to raise questions related to the judgments taken by the person. This makes the manager completely unwilling to answer such questions with clarity. Women who have done well in the corporate world, however, have a high level of patience. They don’t take a decision just because someone has suggested them to do so. They take a decision and stick to it They don’t go on changing it by listening to the suggestions of others. So decisions of such women are questioned, they can explain the reasons clearly and patiently. Women who have risen to high positions in all walks of life usually have a mentor whom they can look up to for support and advice when questions loom in their mind. Ladies involved in the corporate world usually accept people who have experienced these issues in the past. Such people can provide them with workable suggestions. Normally they find a mentor within their own office or in companies where they have worked earlier. This ensures that they have someone to approach when they face a tough situation. Talented women are able to create an environment in which they can rely on their subordinates to handle projects. The subordinates are informed of the work that is to be done. They allow others to lead, thereby helping them to improve their leadership skills. What makes great managers stand out from good ones is the fact that they are experts in the art of delegating tasks to their juniors. Therefore, whenever they need someone to come up and lead, they explain their expectations to the person clearly. They also make sure that the person assigned with the task is aware of the importance of the opportunity. Once the subordinates know how important their role is, they will show greater responsibility and put in their best effort to ensure a favorable outcome. Their contributions will thus prove to be highly valuable. As a result, by delegating important tasks to subordinates, talented women within a company help in growing them. This helps in creating a new generation of leaders who come a step forward and handle challenges which the company may face in the long run. The junior staff, therefore, gets the right type of exposure they require. There are situations in which ladies find themselves managing people who were their peers at a point of time. They might have had a personal relationship in the past. However, once one of them gets promoted, the relationship changes. Women with good acumen are open to changes. They never allow personal relationships influence their business decisions. They, therefore, set clear ground rules, frankly stating that relationships have changed. Therefore, issues such as their partiality towards some members of the staff never come up. Women need to struggle really hard to come up and get noticed in male dominated professions. The struggle and the extra effort required makes them value their career more than men. They thus make sure that they do their work perfectly giving no chance to complain. Talented women thrive inspite of facing challenges in their professions.